Here’s a kid’s vehicle puzzle that features a scooter. (Finally!) And it makes sounds! 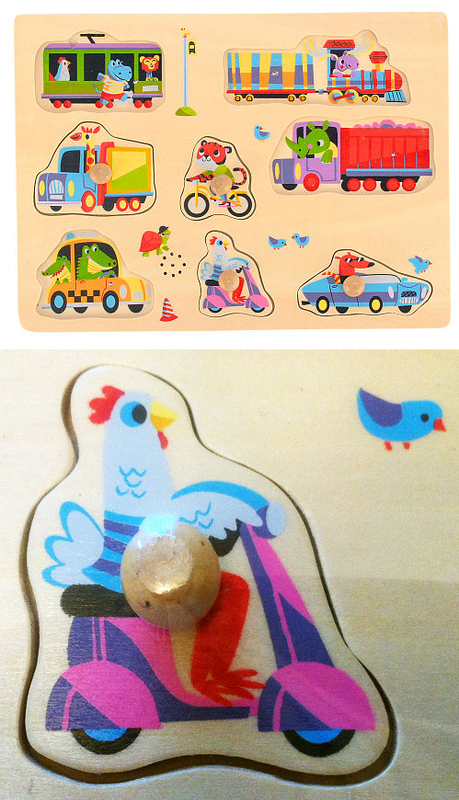 Made by Imaginarium, this “8 piece cars puzzle” is made from wood and measures 12 x 9″. It’s sold exclusively at Toys R Us for $12.99. Thanks so much to Glen B. in Canada for this find and photos. He promises to let us know soon what sound the chicken really makes.